Looking for a sneaky way to up the nutrient value of a decadent dessert? 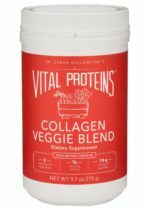 How about adding 2 servings of veggies, 1/2 serving of high antioxidant fruit, and 10g of Collagen to gooey, warm chocolate cake? Yep! 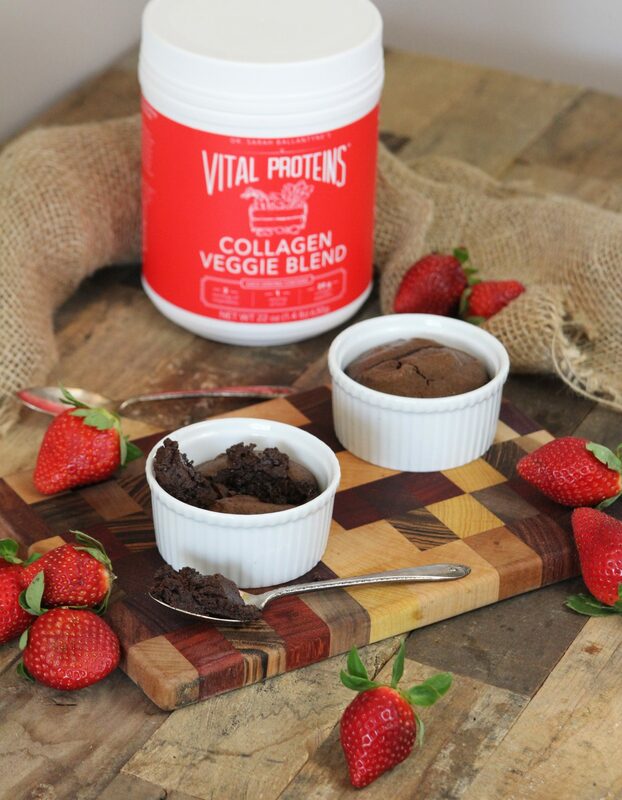 This Molten Lava Cake actually combines Dr. Sarah Ballantyne’s Collagen Veggie Blend, my new collaboration with Vital Proteins, with bittersweet chocolate. 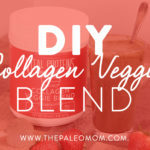 This Molten Lava Cake recipe is my most creative use for Collagen Veggie Blend so far! 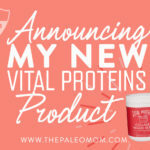 Vital Proteins and I very intentionally kept the fruit servings of the blend to a minimum, so that you can control the sweetness by adding honey or additional fruit, and so that you can layer it with your favorite flavors. And now for my kids new favorite dessert (that I feel AMAZING about giving to them!)! Preheat oven to 375F and prepare four 6-oz ramekins. If you plan to serve in ramekins, there’s no need to grease and flour them. If you wish to inverse lava cakes onto a plate to serve, grease ramekins with coconut oil and dust with cocoa powder. In a medium microwave-safe bowl, melt chocolate and coconut oil in the microwave on low power. (Alternately, you can melt in a double boiler.) 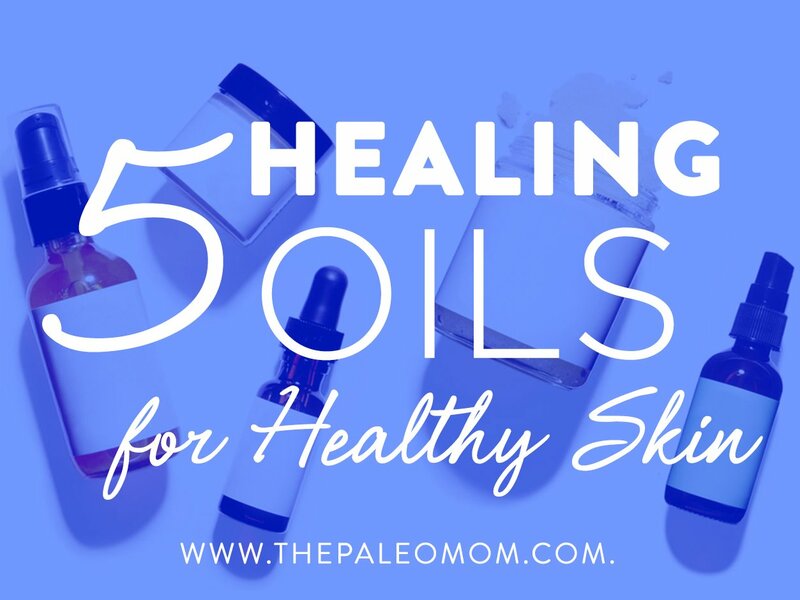 Stir until smooth and let cool while preparing other ingredients. In a small bowl, beat eggs, vanilla, salt and maple syrup if using with a hand mixer until light and frothy, about five minutes (this can seem like an eternity with a hand mixer, but hang in there because it’s worth it!). 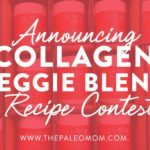 Pour Collagen Veggie Blend over the chocolate and then egg mixture over the top. Then gently fold all the ingredients together until complete combined. Pour batter into prepared ramekins (they should be filled to within 3/4” of the top). 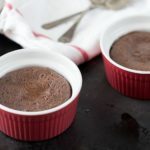 Place the ramekins on a baking sheet and place in the oven (you can chill the ramekins for a few hours if you want to make them ahead of time, just make sure you bring them back to room temperature before baking). Congrats on your new product! 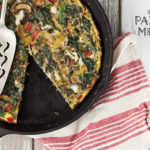 Was wondering if this recipe would work with the blue or green Vital Proteins? 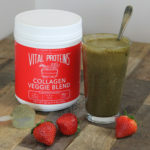 These are the ingredients: Organic Spinach, Organic Kale, Organic Broccoli, Organic Carrots, Organic Strawberry, Organic Blueberry, Organic Blackberry, Organic Raspberry, Organic Acerola Cherry, Organic Lemon, Organic Cranberry, Grassfed Bovine Hide Collagen Peptides! We can’t get that product here in Australia (unless we pay a huge shipping fee), is there something else I could use? I know it won’t be as good but the recipe sounds delicious! What about the evaporated cane juice in the chocolate? I thought evaporated cane juice was inflammatory. 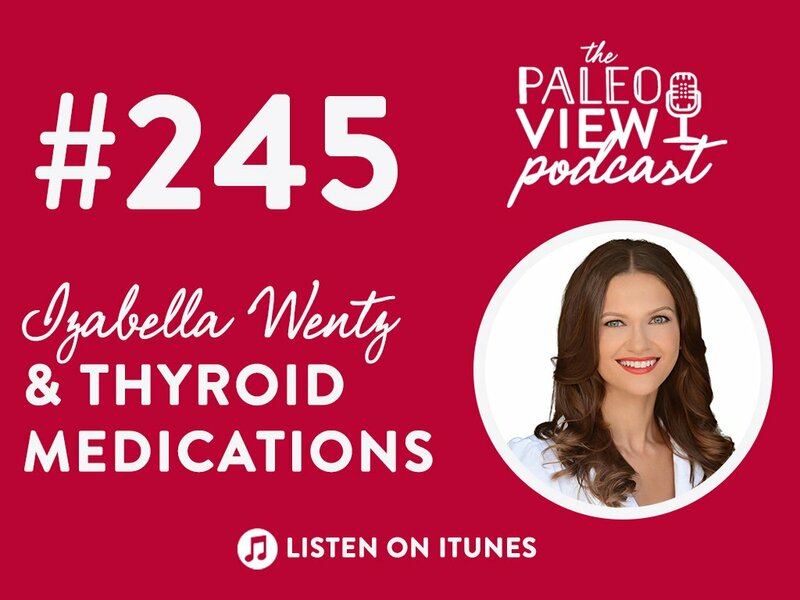 I am new to Paleo/inflammation diets. I see a lot of recipes using the Enjoy Life brand. Can you help me understand please? Thanks! Love this! 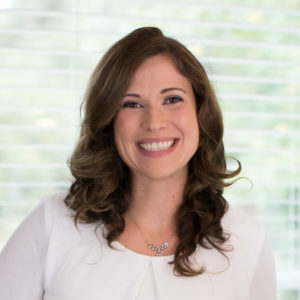 I follow Sarah’s AIP protocol and it has helped me tremendously. Fortunately, chocolate was a successful reintro, but eggs are definitely a ‘no’ at this point. Can I use a gelatin egg or something similar? Thanks!